MONTREAL, May 31, 2018 — Michelin today announced the winners of the 18th global Michelin Challenge Design competition, “Michelin Concours d’Elegance 2050 – Future Classic.” Works by individuals and teams of designers from Algeria, Argentina, Brazil, China, France, India, Russia, South Korea and the United States were among the winners and finalists selected by a distinguished jury of the world’s top automotive designers and industry experts. 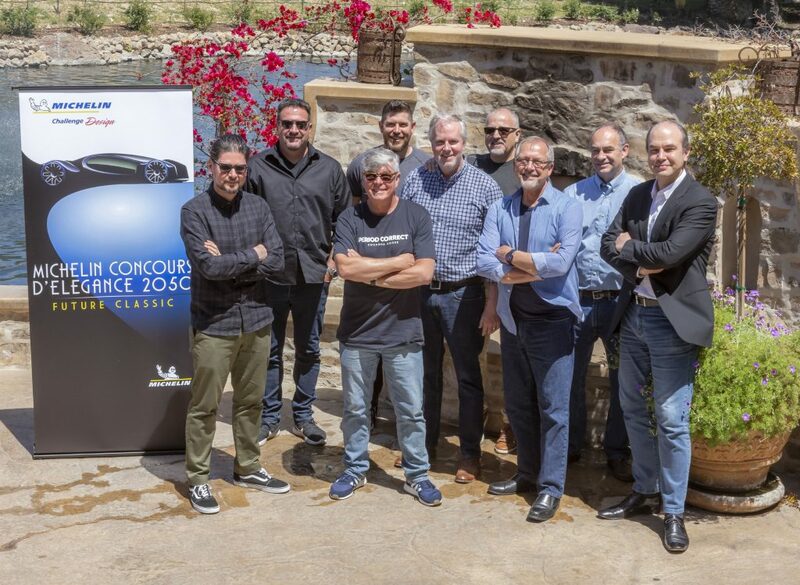 The Michelin Concours theme challenged participants to design a vehicle for the year 2025 that will become a classic and defines, or represents, this transitional era in automotive design and technology to win the Michelin Concours d’Elegance in the year 2050. Images of the winning entries are available at www.michelinchallengedesign.com. Representatives from the first-, second- and third-place winners were invited guests at “Movin’On by Michelin”, the premier global sustainable mobility event held in Montreal. The winners and their designs were joined by winners from the 2018 global competition and recognized during a private reception at Movin’On. Winners participated in a private portfolio review with members of the jury and leading designers and participated in a workshop on sustainable mobility. The three winning designs, six finalists and four honorable mentions were chosen by the jury from more than 1,000 entrants representing 67 countries. In the past 18 years, Michelin Challenge Design has received more than 13,000 entries from 130 countries. Winners from the 2018 global competition at Movin’ On included : Josh Sandrock, United States ; Daniel Yee, United States, and Vinod Pakalapati, India. The panel of esteemed jurors consisted of: Stewart Reed, chair, Transportation Design Department, Art Center College of Design, consultant and jury chairman, Michelin Challenge Design; Robert Bauer, design studio manager, Nissan Design America; Chris Chapman: chief designer, Hyundai Design North America; Dave Marek, Acura global creative director, Honda R&D Americas, Inc.; Craig Metros, design director, North American Truck, S.U.V & Commercial, Ford Motor Company; Damien Michelin, honorary juror, Michelin North America; Frank Saucedo, director, Advanced Design Studio, General Motors; Freeman Thomas, former global advanced design director, Ford Motor Company and Jason Wilbur, owner, Brave Labs, Inc.
“Michelin Challenge Design is the most important global design competition for emerging young talent. The beautiful thing is that we really engage the global design community. That was once again reflected in the works chosen by our jurors,” said Stewart Reed, Art Center College of Design in California and Michelin Challenge Design jury chairman. “I’m always intrigued to see all of the different ideas that come from around the world,” said Craig Metros, Ford Motor Company. “This Michelin Challenge Design theme really brought a unique aspect to the word ‘elegance’. It’s elegance in engineering. It’s elegance in technology. It’s elegance in future thinking,” said Chris Chapman, Hyundai Design North America. “The premise of a car being built in 2025 becoming a classic is extremely hard. You have to project in 2025 first something that would be that far out and then in 2050 becomes a classic. This challege is unique,” said Frank Saucedo, General Motors. “Michelin Challenge Design is a fantastic opportunity for young designers around the world to participate and show off their design and innovation skills. The quality of work was impressive,” said Robert Bauer, Nissan Design America. “The solutions were unique and I think what we arrived to in the final were equally different, yet had the same kind of feeling for a Concours car,” said Dave Marek, Honda R&D Americas, Inc.
“I’m looking for that element of innovation. Concours is really less about the rational and more about the irrational beauty of innovation and art,” said Freeman Thomas, former global advanced design director, Ford Motor Company. do everything we can to encourage them and help them demonstrate their talents,” said Damien Michelin, honorary juror for Michelin North America. Presented by Michelin with C2 as organizing partner, Movin’ On is the world summit on sustainable mobility. Our belief is that the solutions to tomorrow’s major mobility challenges will come from an ecosystem of academic, political, business, municipal and startup leaders. From May 30 to June 1, 2018, in Montréal, Movin’ On will bring together decision-makers, experts and mobility enthusiasts from all over the world. Our common goal will be to move “from ambition to action,” acting on the theme “Bringing global, smart, sustainable and multimodal mobility to life.” For more information or to register, please see movinon.michelin.com/en.